Plantar fasciitis is the most common cause of chronic pain beneath the heel of the foot. The American Academy of Orthopedic Surgeons estimates that 2 million cases of the condition are treated every year. One in 10 people develop plantar fasciitis at some point in their lives. The condition accounts for between 11 and 15 percent of foot symptoms requiring treatment, according to a review of studies related to the condition. The majority of heel pain is caused by plantar fasciitis, or an inflammation of the tissue on the bottom of the foot. Located on the bottom of the foot, the plantar fascia is a dense band of connective tissue or ligament connecting the heel to the front of the foot. This band of tissue, which supports the arch of the foot, acts like a bowstring on the bow. It is meant to absorb any stresses and strains placed on the feet. Over time a person can develop a strain or inflammation of the fascia into the heel bone, and it becomes a chronic and repetitive condition. One never really rests their foot enough to heal and get better. It has a higher incidence among athletes — particularly runners, and it is sometimes referred to as “runner’s heel.” A 2002 retrospective study of running injuries found that 7.8 percent of the injuries were plantar fasciitis; and the condition ranked as one of the five most common running injuries. Obesity or Sudden Weight Gain Excess weight can damage the plantar fascia, making it less able to absorb shock, which can lead to heel pain. Up to 70 percent of patients with plantar fasciitis are obese. There also appears to be a strong association between increased body mass index (BMI) and plantar fasciitis in nonathletes. Pregnancy also raises your risk by increasing weight placed on the feet. Too Much Pressure on the Heels People who walk frequently, run, or have to stand all day at work sometimes have this problem. Certain occupations that involve spending most of the work hours walking or standing, such as factory workers and teachers, are more likely associated with damage to the plantar fascia. Studies have shown that excessive stretching and tightness of the Achilles tendon can lead to overstraining of the plantar fascia. Diabetes and Arthritis Plantar fasciitis and increased thickness of the Achilles tendon have been associated with diabetes. The exact reason that the condition is more common in people with diabetes in not known. Some types of arthritis, such as rheumatoid arthritis, psoriatic arthritis, ankylosing spondylitis, and reactive arthritis (also known as Reiter’s syndrome), can cause inflammation associated with plantar fasciitis. Wearing the Wrong Shoes If shoes don’t fit well, they won’t support the foot. Inadequate footwear can impair walking and put additional stress on the plantar fascia. Old, worn-out shoes can also make plantar fasciitis worse because they do not provide adequate support and protection for your feet. Searing heel pain is the main symptom of plantar fasciitis and is an often unmistakable sign of the condition. If the heel pain does not go away after a few weeks, it’s a good idea to make an appointment with a podiatrist. 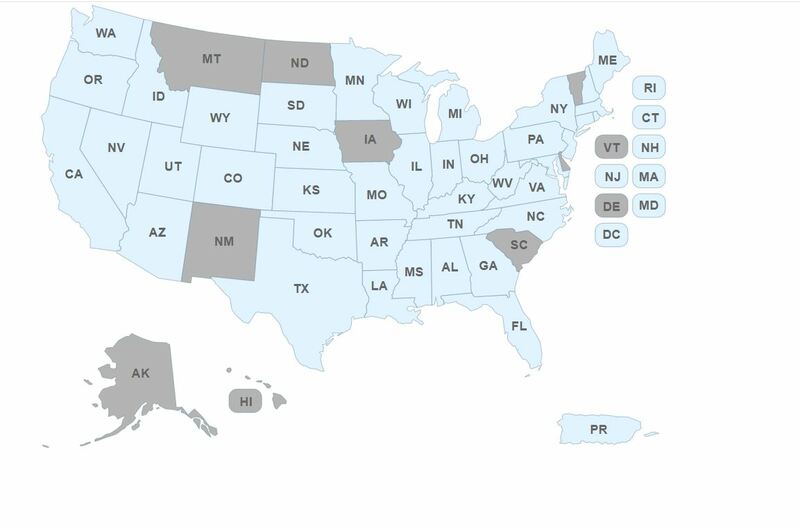 To see a list of HyProCure trained doctors near you, visit our map here. A podiatrist will talk to you about your pain and symptoms, and examine your foot to rule out other conditions that can cause heel pain. Your podiatrist may order an X-ray or other tests to make sure there isn’t a fracture in your foot, or something else that’s causing your heel pain. One out of 10 people has heel spurs, but only 1 out of 20 people with heel spurs has foot pain. Plantar fasciitis requires treatment to prevent it from becoming persistent or growing worse. If untreated, plantar fasciitis can impair mobility and keep you from getting much-needed exercise. It can also lead to back problems, knee and hip problems, and other foot conditions because of how it affects the way you walk. Inflammatory Diseases People with systemic inflammatory conditions, such as rheumatoid arthritis, psoriatic arthritis, ankylosing spondylitis, Reiter’s syndrome, and gout, may experience heel pain. Lateral Plantar Nerve Entrapment Nerves along the central part of the arch can become compressed between bone and tissue, resulting in pain around the heel and ankle area of the foot. Stress Fracture A hairline crack or fracture can develop in the heel bone, also known as the calcaneus. It’s usually the result of overuse or an event in which the heel is crushed under the weight of the body (like a fall from a height). Calcaneal stress fractures are rare and account for only about 2 percent of all fractures in adults. Tarsal Tunnel Syndrome The tarsal tunnel is a space inside the ankle containing nerves, arteries, and tendons. One of these is the tibial nerve, which allows feeling and movement to parts of the foot. Tarsal tunnel syndrome refers to a compression of the tibial nerve that can be caused by an ankle sprain, inflammatory disease, and flat or fallen arches. The possible symptoms include pain and a tingling sensation around the heel. Over-the-counter and prescription medicines can help reduce some of the pain and inflammation associated with the condition. Orthotics, or shoe inserts that provide support and relieve pressure on the foot, can also alleviate pain in the short term. When rest, applying ice and over-the-counter and prescription medications just aren’t doing the trick, consider a lasting solution; HyProCure. HyProCure is a small titanium stent that is inserted into the sinus tarsi fixing hyperpronation at its root by keeping the sinus tarsi in a stable open position as nature intended. This keeps your ankle bone from sliding forward and off of your heel bone and the rest of your body in its natural alignment. It is placed into a naturally-occurring space in between the ankle bone and heel bone through a small incision below the outer ankle bone. There are no pins, screws or drills required.